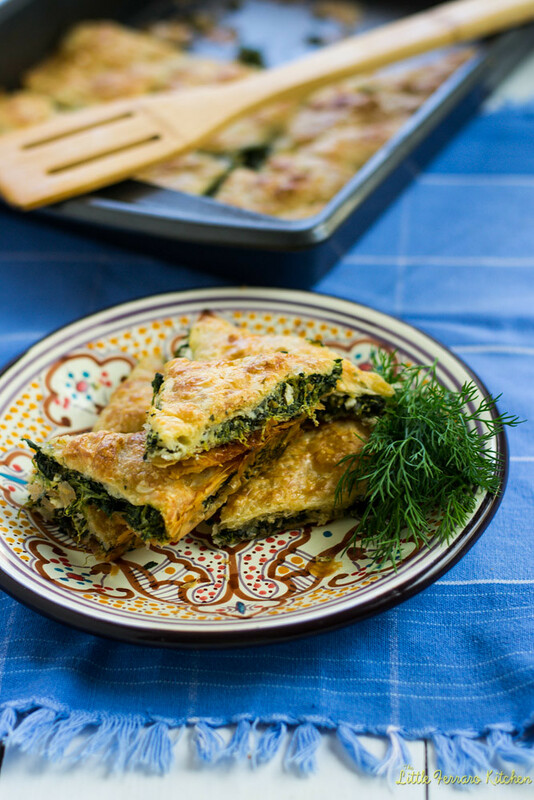 A Turkish staple, spinach and feta borek are delicious savory pastries layered with buttery phyllo, salty feta and fresh spinach that no one can resist. 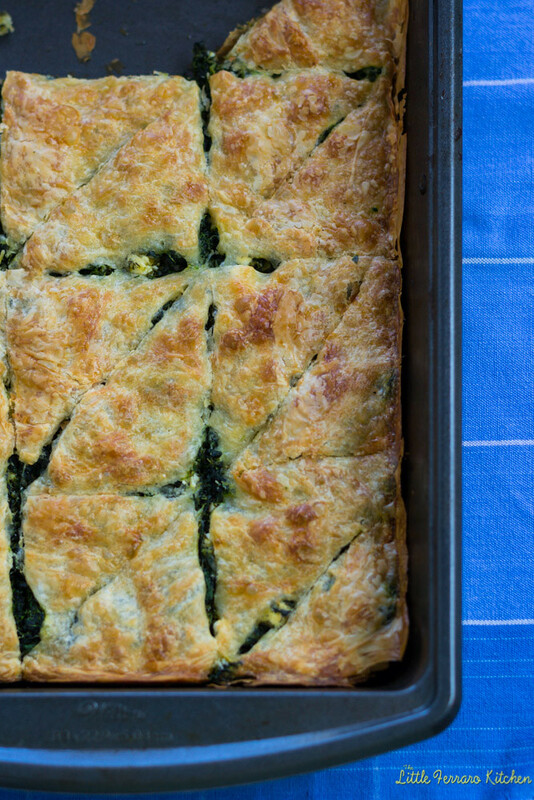 Spinach and feta borek is one of the more popular boreks around. Boreks aka borekas are Turkish savory pastries with different fillings, such as cheese or spinach and feta or meat. I’ve had my share of cheese borek when we visited Istanbul and can say that I will never get tired of them. I couldn’t wait to start creating Turkish food as soon as I got home. I ordered my first Turkish cook book and nodded happily as I reminisced on all the amazing dishes I’ve had. Borek was the first thing I wanted to make. One of our last days in Turkey, we saw these woman sitting and rolling in front of large pieces of flaky pastry, called yufka that are paper thin. 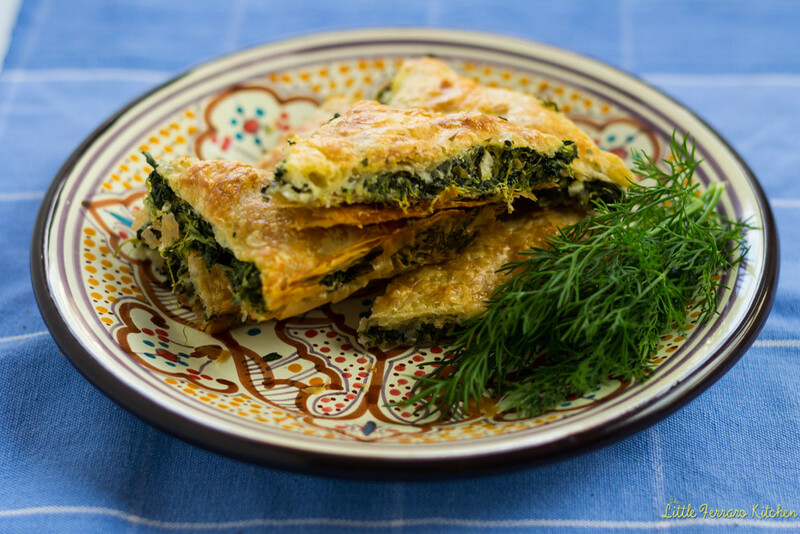 Yufka is traditionally used for borek as it is so thin and flaky. Of course it is much more difficult to find yufka here in the states besides ordering it, but phyllo will work just fine. When using phyllo pastry, it is important to work diligently but quickly. Phyllo is super thin pastry and dries out quickly. When you buy it frozen, allow it to thaw in the refrigerator first and then carefully unroll the pasties on a flat clean surface. 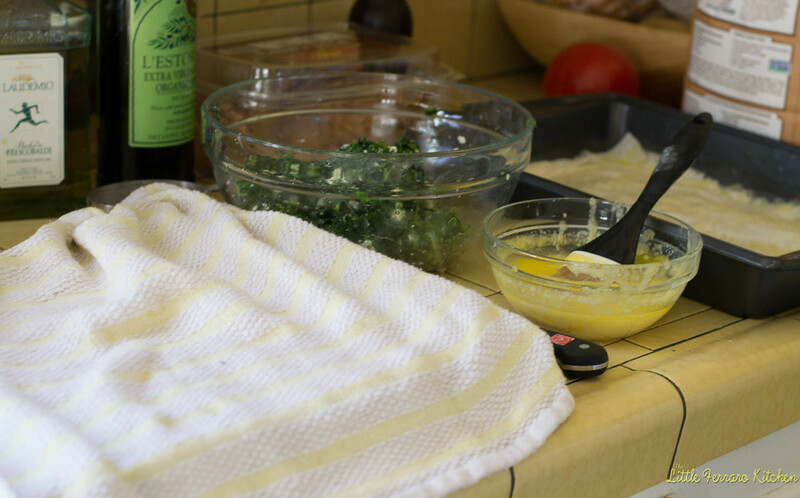 As you layer the thin sheets for your borek, keep a lightly damp towel over the rest of the layers so they don’t dry out. One of my favorite salads, heirloom tomato fattoush would be a lovely accompaniment. Save extra yogurt sauce for dipping the borek as well! 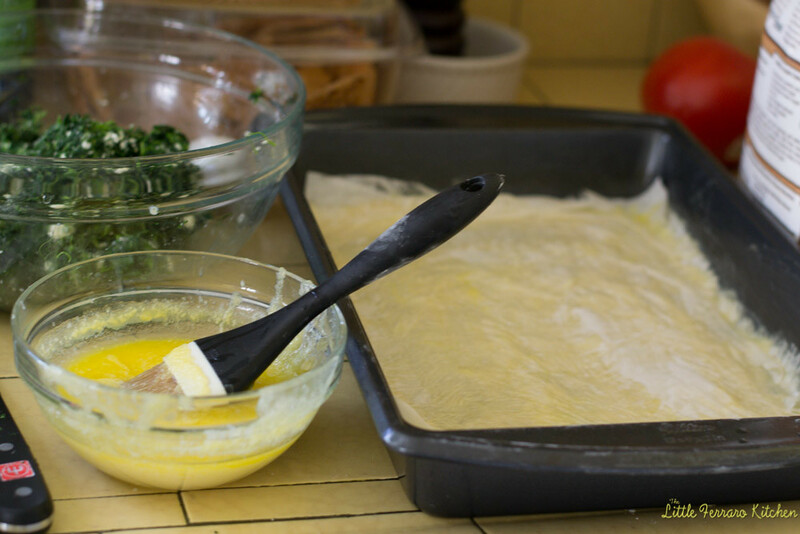 1) In a large bowl, mix together all the spinach fillings ingredients well. In a separate bowl mix the glaze together and a 3rd bowl, mix the topping glaze. 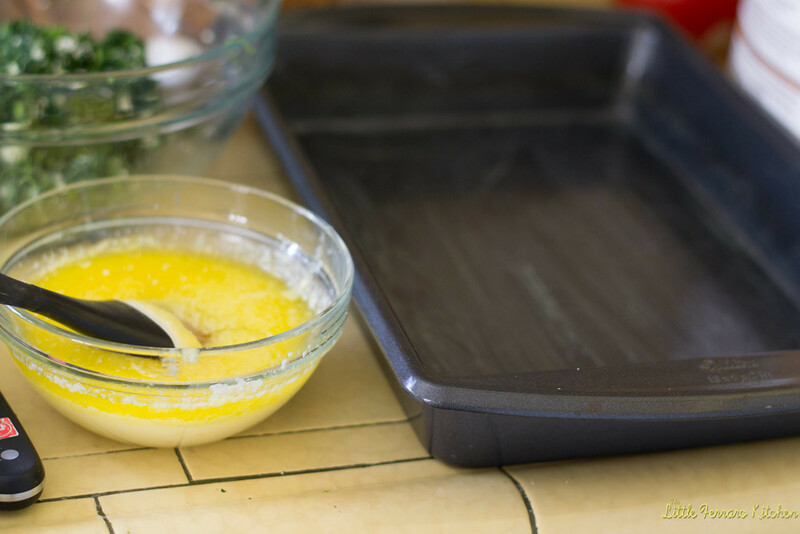 2) Using a 9 x 13 pan, brush pan on all sides and bottom with glaze. 3) Unfold phyllo and place on a dry clean surface. Have a lightly damp towel close to cover as you’re layering. Each package comes with about 20 layers of phyllo. 4) Layer the first layer of pastry into the pan and brush with glaze. Continue this for 10 layers. 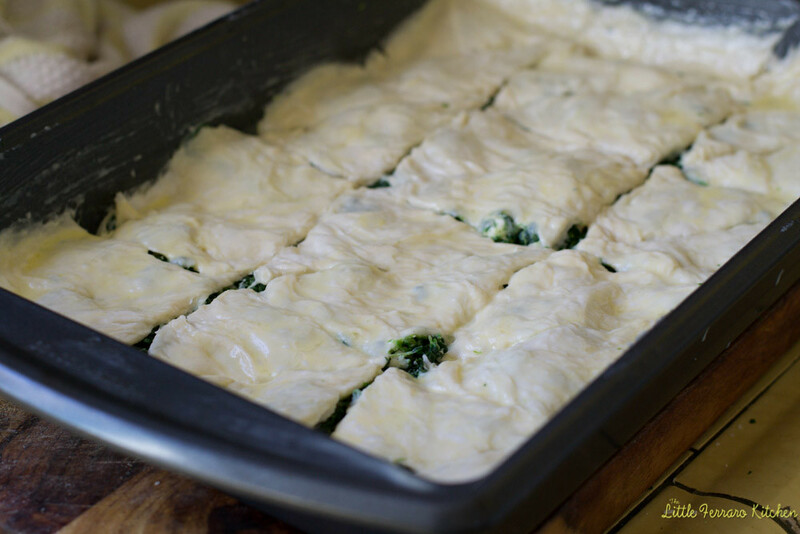 5) Add spinach filling and distribute evenly. Then top with phyllo and continue to add layers, glazing in between the layers. 6) When all phyllo is used, top with topping glaze. Then use a sharp knife to cut into 12 squares or 24 triangles. 7) Bake at 350 degrees for 40 minutes or until the top begins to brown. Phyllo defrosted: 2 "packages" come in a box, I just used 1. 3 packages frozen spinach defrosted and drained of water. 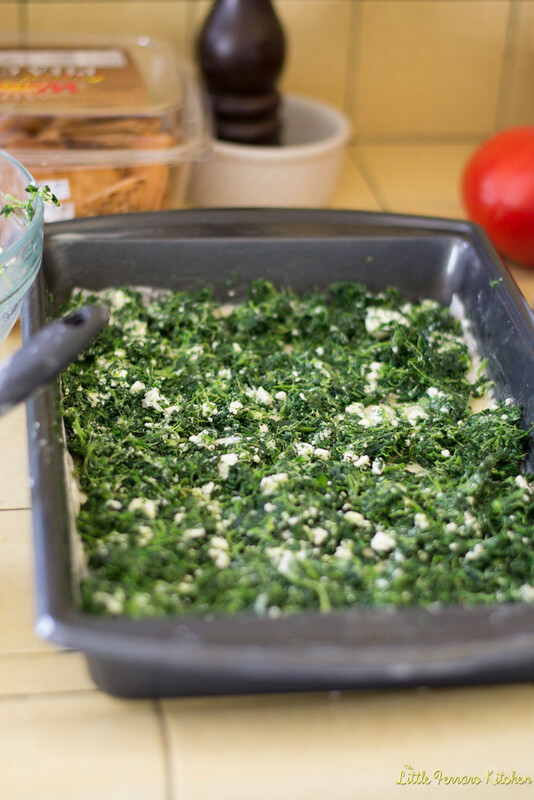 In a large bowl, mix together all the spinach fillings ingredients well. In a separate bowl mix the glaze together and a 3rd bowl, mix the topping glaze. Using a 9 x 13 pan, brush pan on all sides and bottom with glaze. Unfold phyllo and place on a dry clean surface. Have a lightly damp towel close to cover as you're layering. Each package comes with about 20 layers of phyllo. Layer the first layer of pastry into the pan and brush with glaze. Continue this for 10 layers. Add spinach filling and distribute evenly. Then top with phyllo and continue to add layers, glazing in between the layers. When all phyllo is used, top with topping glaze. Then use a sharp knife to cut into 12 squares or 24 triangles. Bake at 350 degrees for 40 minutes or until the top begins to brown. 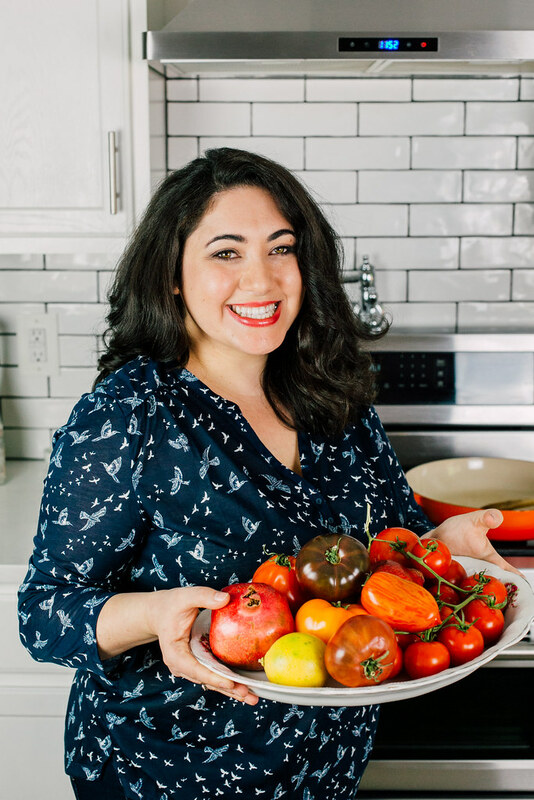 You make working with phyllo look doable! Great recipe and blog post. thank you Samantha for this awesum recipe.After many hit and trials I figured out a perfect way to make borek. I made a few alterations to your recipe but the end result was delicious. I have showcased this on my webpage giving due credit to you. thanks once again. Yours looks wonderful!! Thank you for sharing Anshu! Hi Michael! I just googled wrangle greens and can not find it..I have never heard of that before! Can you tell me more? Would love to hear what it is similar to! Hi Sam, Michael means “Warrigal Greens”. Oh thanks Sophie!!! Just googled it…almost like a spinach? Certainly new to me!